Most people do not have any problems with Mojave on their Apple MacBook, but a few people have experienced higher than normal battery usage. Solve macOS Mojave battery drain problems. 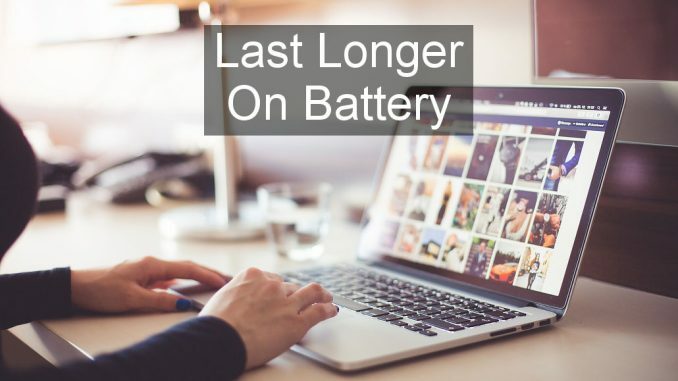 If you rely on the MacBook’s battery to get work done when you are away from the home or office you must minimize power usage to maximize battery life. You don’t want to be carrying the charger and cables around with you because the whole point of MacBooks is that they are light and portable. Not with the power pack and mains leads they aren’t. Here are some tips for increasing the time the MacBook will run on the battery by reducing power requirements. New operating systems have teething troubles and Apple’s macOS is no exception and sometimes it doesn’t work as well as it should. With early releases of macOS Mojave some people found the battery draining twice as fast as with the previous version of macOS, High Sierra. It seemed to be a bug in macOS and this is always likely to be the case where there is significant battery drain for a lot of people after updating the the system. Battery problems come and go, so even if it was fixed for you, it might come back in the future. Watch out for updates. Open System Preferences > Software Update and it automatically checks. One of the biggest consumers of power is the screen and simply changing the brightness can have a large effect on the battery life. Turn up the brightness and the battery life goes down, but turn down the brightness and the running time on battery power is extended. Press the F1 key on the keyboard to turn down the brightness to the lowest level you can comfortably work with. If you are sitting next to a window, move away out of the light and you will be able to work with a lower screen brightness. The automatic brightness adjustment sometimes gets it wrong and sets the brightness higher than it needs to be, so manually adjust it when necessary. It only takes a tap to turn it down a notch. Open System Preferences > Energy Saver. This is where power savings can be made and tweaking the settings can reduce battery drain and increase the hours the MacBook runs on the battery. Select the Battery tab and drag the slider to the left so that the screen turns off sooner when the Mac is not being used. It comes back on as soon as a key is pressed, but even just being off for a minute here and there can add up to noticeable battery savings. Tick the first two options, Put hard disks to sleep when possible, and Slightly dim the display when on battery power. Both of these help a little. The biggest savings could be from clearing the checkbox next to Enable Power Nap while on battery power. When this is enabled, it automatically wakes the Mac when in sleep mode, goes online and checks for email, Calendar and iCloud updates. It might even perform software updates too. It basically powers up every so often, even in sleep mode, to perform a series of tasks. Battery draining tasks. It is not necessary and it just wastes battery power. Disable this feature. The same option is on the Power Adapter tab and if you need the function, make sure it is only active when the MacBook is plugged into the mains power. Some people have found that the battery drains very quickly even when the MacBook is in sleep mode. It should use minimal power and some models can last for weeks in sleep mode, yet some people have found it lost 50% or more of charge overnight. At one time MacBooks had an LED at the front that showed whether it was powered off, powered on or in sleep mode when the lid was closed. This was removed and now you cannot tell if the Mac is sleeping or powered up when you close the lid. Of course, if you open the lid it is on, but was it on when the lid was closed or did opening the lid just power it up? You just don’t know. Maybe the MacBook is failing to enter sleep mode and it continues to be powered up and running tasks. That could be why it is draining the battery faster than it should. Try powering off the MacBook when it is not going to be needed for a few hours, especially overnight. Modern MacBooks boot up so fast that this is not a problem. In fact, a new MacBook can start up almost as fast as an old MacBook can wake from sleep! On the one hand, it takes more battery to power up than resume from sleep, but on the other hand battery power is saved when it is powered off. Power off when the MacBook isn’t going to be used for several hours, such as at night. The Mac checks for software and macOS updates every day and this involves a certain amount of work, which means increased power usage. It might only take a couple of minutes to check for updates, but it should be avoided to save battery power. Open System Preferences > Software Update and clear the checkbox Automatically keep my Mac up to date. When you are on mains power, just open Software Update and it will check. You only need to check once a week. Some people rarely or never turn off their MacBook and it is either up and running or in sleep mode. If there are issues with battery life, try powering off and then powering on, or restart the MacBook. It may clear a problem with battery drain, which could be due to a bug in an app or something else that is not working right. 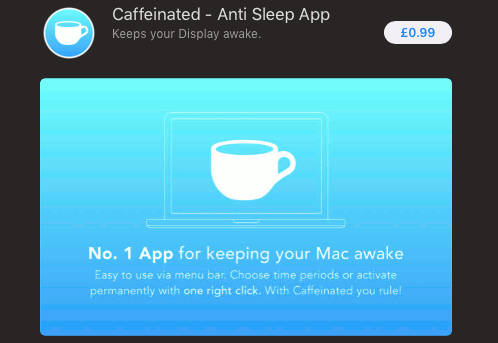 There are utilities that are designed to prevent the Mac from sleeping when it is not being used. Some people need to perform tasks that take a long time and there is a danger of the Mac entering sleep mode because you haven’t pressed any keys or moved the mouse for a while. There are also people that need to keep the MacBook running when the lid is closed, such as when using an external monitor and keyboard. Have you forgotten that you have one of these utilities installed? Is it running and preventing the Mac entering sleep mode when the lid is closed? Check that you haven’t accidentally got one running. It will increase battery usage because the MacBook cannot sleep. 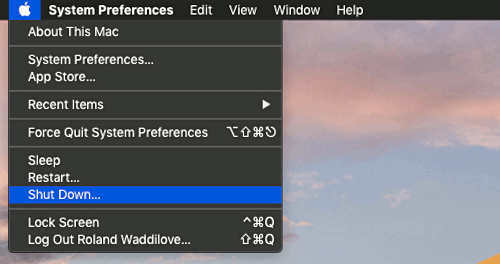 Mojave introduced the dark theme to macOS and it looks great and is easier on the eye than the old light interface. But does it use more battery? Some people say that the screen uses more power when the dark theme is enabled. Does it? It is easy enough to find out. Charge up the MacBook, use it with the light theme and see how many hours the battery lasts. Charge it up and repeat with the dark theme. Is there a difference? If there is, use the one that lasts longest. 9 Is the Mac doing something? The Mac sometimes has a lot of work to do behind the scenes and housekeeping tasks can use a lot of power. Eventually they are completed and battery usage returns to normal, so be patient, the battery drain might only be a temporary thing. For example, there is a lot of disk activity straight after a major macOS upgrade and even just a minor update can take some time to settle down. The Mac might be updating or syncing the Photos library, indexing the disk for Spotlight, encrypting the drive contents, syncing calendars, and so on. Online storage may be syncing if there have been a lot of changes and it is most noticeable when reinstalling macOS or with a new Mac. It might need to sync 100+ GB with iCloud, Google Drive, Dropbox or whatever online storage you use. That takes time and power. It will settle down after a day or two. The System Management Controller (SMC) is a component inside the Mac that has many responsibilities. Among its tasks is responding to the opening and closing of the lid, which should wake or sleep the MacBook. It is also responsible for battery management. Sometimes it gets its settings in a muddle and this can cause a variety of problems. However, it can be reset back to factory settings, which usually clear the problems. This used to be a simple task, but Apple has changed the reset method so many times over the years I am not even going to explain it. How you reset the SMC depends on the Mac model and year of manufacture. For example, 2018 MacBooks are different to previous MacBooks, which are different to iMacs, and if it has a T2 Security Chip it is different again. It is confusing! The Mac stores some important system settings in a special area of persistent memory called NVRAM or PRAM. Sometimes those settings can become corrupted and this can cause problems. It isn’t clear whether any battery settings are stored in there, but you never know and resetting the NVRAM/PRAM might help. Power off the Mac, then power on and immediately hold down the Option + Command + P + R keys, all at once. If the MacBook makes a startup sound, release the keys after it has played. If the MacBook has a T2 security chip (latest models), release the keys after the Apple logo appears and disappears for the second time.